Originated from Japan, largest chain of beef rice bowl restaurants. As restaurants received overwhelm response at bustling city of Kuala Lumpur, business expanded to Penang. 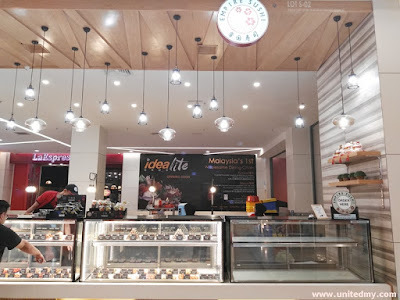 Opened it first and ever outlet at Butterworth, Sunway Carnival Mall. Surprisingly to acknowledge one little thing missing here, where are the sushi ? 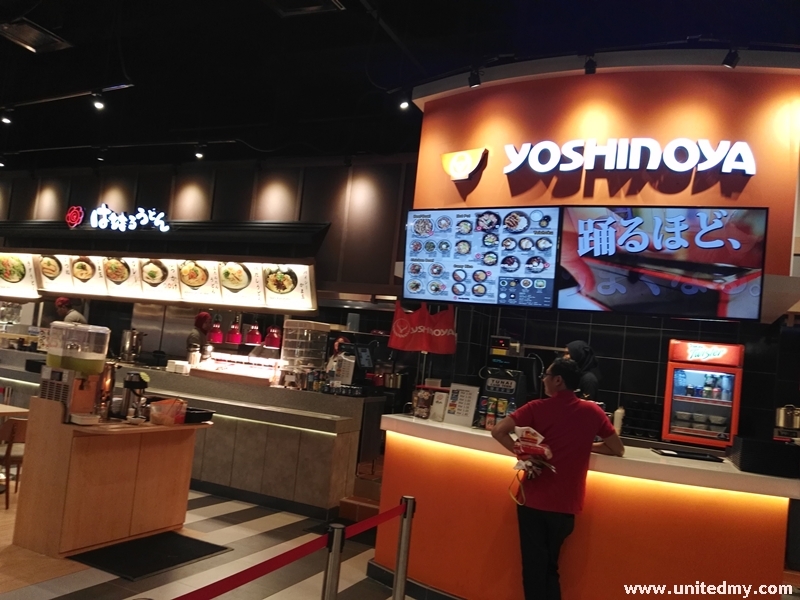 Yoshinoya mainly serve dishes with beef and chicken. It does not serve any sushi topped with salmon or eel. One of the noticeable strength is food delivery really lightning fast. All of the customers are required to wait at the counter to get their food or if orders are in group, seated first with a ringing device. 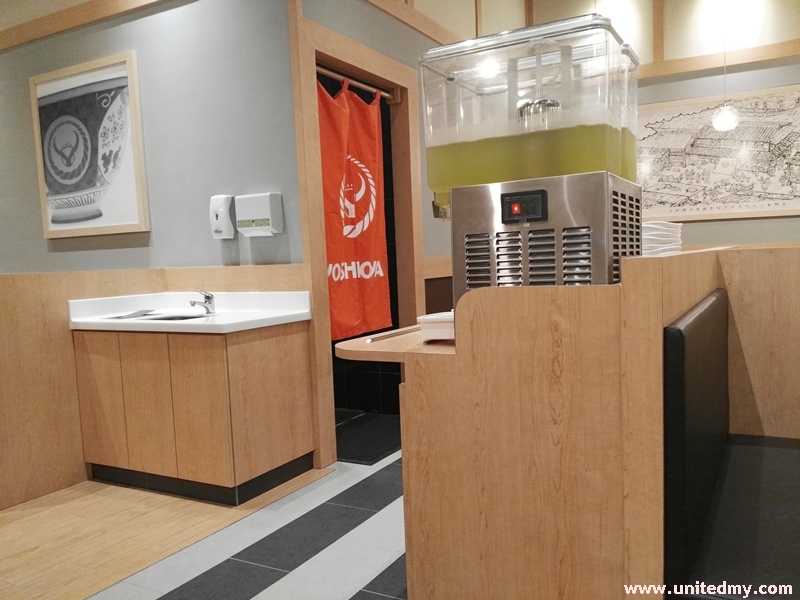 Very much like the western fast food concept, green tea are refillable with the one-time cost of RM1.50. Remind you that you have to take your own green tea at the beverage machine. 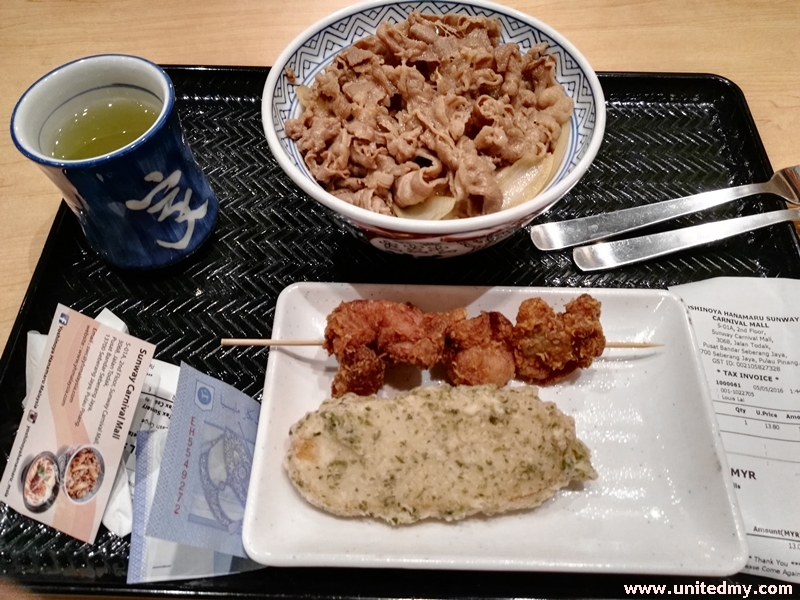 Besides, they serve some udon at the hanamaru counter. Although there are many Japanese restaurants mushrooming nationwide. This will somehow stand out because it has this specialty in beef bowl. First try, the juicy and tender beef make me unstoppable to keep feeding more into my mouth. Wait till you slowly moving the spoon beneath the bowl where the Japanese rice located fully covered with some hot beef juice. It only cost more or less RM14.00. 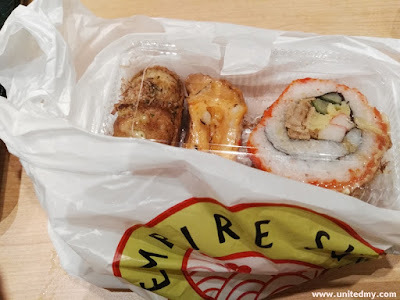 If you crave some sushi, you might get it just located beside Yoshinoya. It Empire Sushi ! Yummy, There are many sushi selection available at Empire Sushi. Plus, it offer reasonable price too ! Location : Sunway Carnival Mall, Jalan Todak Seberang Jaya, 13700 Pulau Pinang.